because you are not the only one who has to go through this. Having a limb difference does not make you different to any other person it just means that you were born with a difference, but everyone has their own difference. Just remember that children will ask about your limb difference, but don’t be scared or sad or unsure if they do. All you have to do is give them a simple answer which is not that hard. When I was in prep I used to say, “When I was little I was born a little bit different, but now the doctors fixed me up and now I can do anything” and then I would ask them if they wanted to play. Don’t let your limb difference stop you from doing anything. Never say, “I am incapable of doing that because of my limb difference”, always have a go. Remember, who you are is not what you look like but it is the inside that matters. There is nothing to worry about, school is great and you will have a fantastic time. 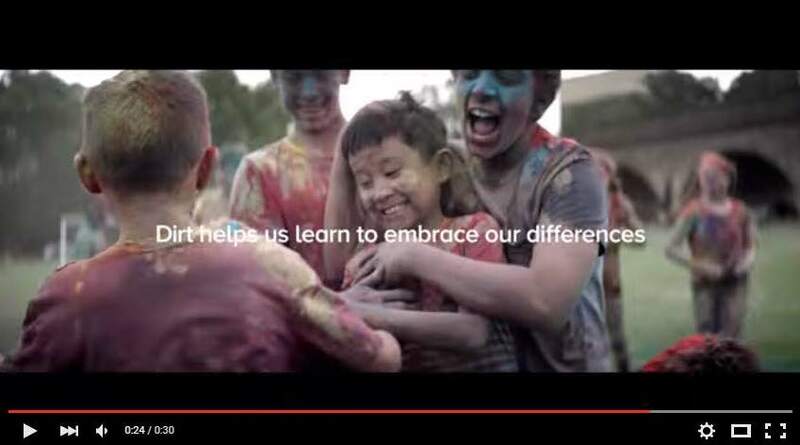 In late 2015 Limbs 4 Life was contacted by an advertising agency seeking the involvement of a child with limb difference in an advisement for laundry powder that would celebrate diversity. Knox Gibson, who lost his arm when he was four years old, was chosen to take part and can be seen showing his incredible soccer skills in the ad which will be shown in Asian markets. It looks like all the children who took part had a fun and messy time making the ad together. Why not take a look at the Breeze advertisement, featuring the talented Knox, on You Tube. 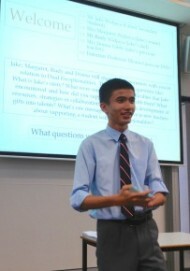 Jake Widjaya, a 17 year old student working with the Sydney Children’s Hospital (SCH) to help kids living with a limb difference, would like to offer his DVD “My Helping Hand” to families of a child with a limb difference who may want to view it. Jake was born with a hand limb difference, and has written the following information. I started making the DVD “My Helping Hand” when I was nine years old. Although the DVD is 10 minutes long, it took me 15 months and 20 hours of film to make it. I interviewed those people who had helped me (and continue to help me) in my life. They included Dr Adrienne Epps (Rehabilitation Specialist) and Leslie Wollin (Occupational Therapist) from the Sydney Children’s Hospital, Professor Miraca Gross (Director of GERRIC) from the University of New South Wales (UNSW), and I also interviewed my mum and dad about what it is like for them to be the parents of a child with a limb difference. I wanted to give a message to able-bodied people and kids that it’s alright to have a limb difference, because it’s just a difference. I wanted parents and other kids with a limb difference to know that it’s going to be alright and that there are people who can help. My main message is that there is always a way to do things and that the only thing that can possibly stop you, is yourself. I have done lots of things that people generally think you need two hands to do. I have played musical instruments (recorder, violin, guitar); played tennis, croquet, soccer, cricket, basketball; learnt Tae Kwan Do, swimming, surfing and sailing; ridden horses, camels, Billycarts, Quadbikes and Segways; made circuit boards and woodwork items; played handball, table soccer/foosball, arcade games; play Xbox, Playstation and PC games. Basically, I always find a way to do things. At my High School, an Outward Bound Australia (OBA) Program known as “Cranbrook in the Field” (CITF) is compulsory for Years 7-10. OBA’s programs are pretty tough as they are based on the training received by World War II British seamen to survive in the North Atlantic Ocean. During CITF I did activities like trekking (sometimes 140 kms) carrying my belongings in a backpack, sleeping under Bivvies, rock climbing, raft building, low & high ropes courses (the Tarzan ropes were a bit challenging for me however I worked out a way for me to successfully complete the activity), flying fox, rafting, abseiling, navigating, river crossings, caving, canoeing/kayaking (I used my gym rowing machine prosthesis) and mountain climbing (I kept my balance with one walking pole, especially climbing to the summit of Mt Morgan in the Kosciusko National Park. At 1852m above sea level, this is one of the highest mountains in NSW). So, there is always a way to do things. Both the SCH and Westmead Children’s Hospital distribute about 20 of my DVDs to families every year. The DVD is also used in medical staff training at the Children’s Hospitals, some Primary Schools use it to teach kids about differences and it is used by UNSW as part of the Bachelor of Education and the Graduate Certificate of Gifted Education programs. Also it is used in Canada (Simon Fraser University, British Columbia) and in the USA (University of Iowa); it was also used in my participation in the Sydney Children’s Hospital Foundation’s Gold Telethon. I use my DVD in sessions I present to conferences and meetings, and I also use it in my annual lectures at UNSW (which I commenced when I was 10 years old). I am continuing to help SCH by mentoring other kids with a limb difference, talking with expectant/new parents of a baby with a limb difference, and we are currently working on a project to develop a resource to help older children and teenagers deal with other people’s reactions to their limb difference. This is a project which I commenced last year however as I became busy completing the HSC, my Silver Duke of Edinburgh Award, training and competing in my sport of Fencing a couple of times a week (I also coach the beginners), and any spare time was spent hanging out with my mates and playing video games. I recently obtained my driver’s ‘L’ plates, and I am now also back on track working with SCH to have my current project completed sometime in the near future. If any of members of the Limbs 4 Kids community in Australia would like a copy of Jake’s DVD “My Helping Hand”, send an email to kids@limbs4life.org.au and we will coordinate with Jake to send a copy. You can also view a video about Jake that was used as part of the Sydney Children’s Hospital ‘Gold Telethon’ in 2013 and is called ‘Jake’s Story’. Sarah, and her family, have been strong supporters of Limbs 4 Life over many years and it has been our pleasure to watch Sarah grow and develop as a person, an athlete and an amazing young woman over that time. In this edition Sarah granted us an interview so that we could learn about her recent achievements on the athletic field, what her future goals are and what it means to be part of the Limbs 4 Life and Limbs 4 Kids family. At almost 17 years of age Sarah is beginning her transition to adulthood. 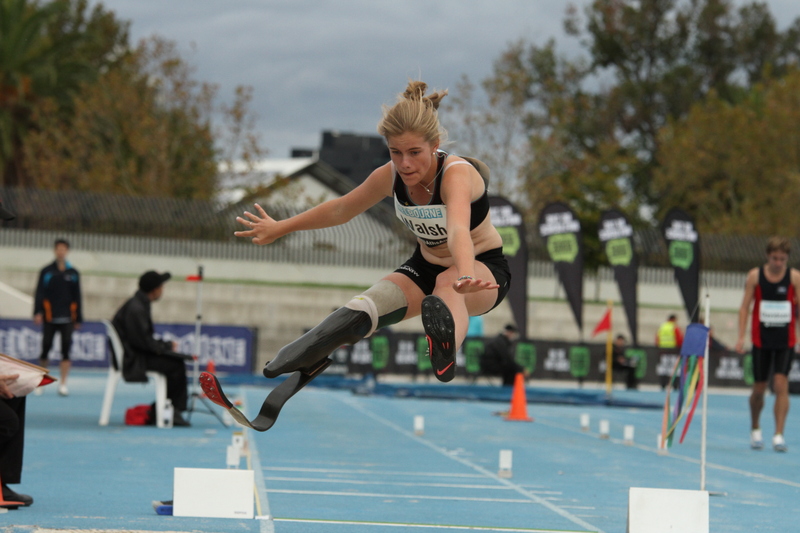 In addition to facing decisions regarding what she will pursue after school Sarah is also proving to be one of Australia’s most successful young female amputee athletes. 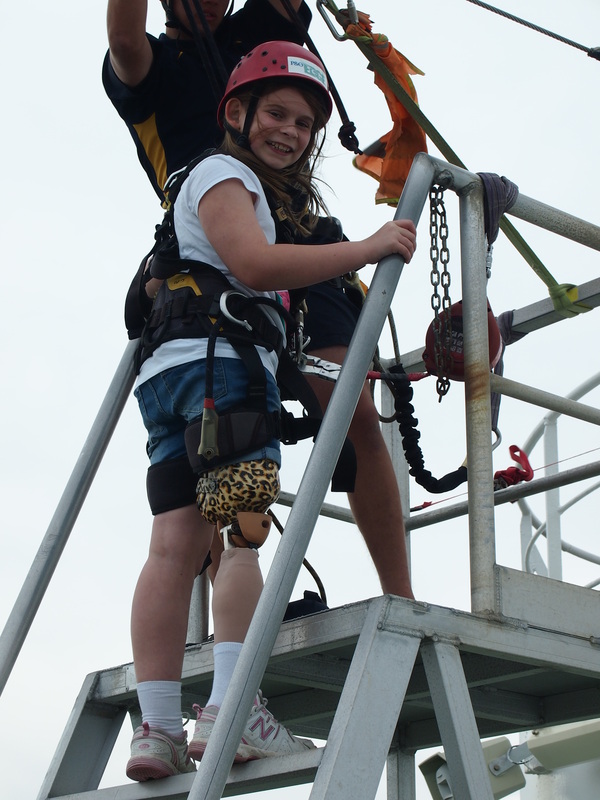 Exposure to Limbs 4 Life, other young people with limb differences and meeting a wide array of people through her sporting activities is showing Sarah to be a strong advocate for people with a variety of disabilities. Sarah was born with a congenital limb difference which resulted in a lower right leg amputation when she was 17 months old. As Sarah said “I was so young when my amputation took place that I don’t ever remember having my missing leg”. From a very young age, Sarah’s parents encouraged her to explore and investigate a wide range of sports and arts activities. 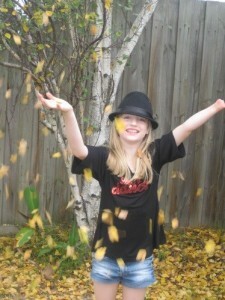 Swimming, dance, gymnastics, athletics and wheelchair basketball have featured in Sarah’s life. All of these activities, except dance and gymnastics, continue to feature in Sarah’s life today. “I was 10 months old when I started swimming, and I continued to swim officially until I was 12 years old”, said Sarah. While Sarah doesn’t compete competitively as a swimmer, as a high level amateur athlete Sarah does swim weekly to maintain her endurance levels. Sarah was a gymnast between three and nine years of age. “I started gymnastics when I was really young and absolutely loved it. If I hadn’t discovered a love and talent for athletics, I would probably still be doing it today”, commented Sarah. Discovering athletics occurred at school for Sarah. 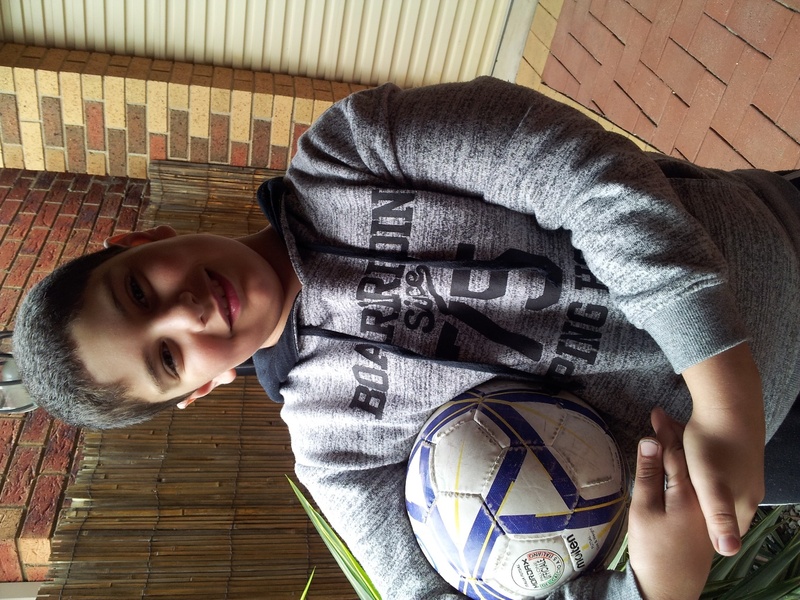 “When I was in Year 3, a school athletics competition was being held and I was told that I had to participate. The school really pushed me to give running and long-jump a go”, said Sarah. Even though Sarah had never tried athletics before, Sarah asserted that the school “made me do it” and she “will be forever grateful that they did”. Sarah said that she “was terrified at first” because she had never run 100 metres or jumped into a sandpit before, however Sarah performed well and discovered a natural talent for athletics. Not long after trying out the sport at school Sarah joined Little Athletics and was appointed her first coach. Sarah highlighted that “at the beginning I participated in running and long-jump wearing my prosthetic leg, but I soon realised if I was going to perform better I needed a specific running leg”. In 2009 Sarah received her first running Blade and immediately started to reduce her personal running times and long-jump lengths. “When my times started to reduce I felt even more passionate about athletics and started to really take it seriously”, explained Sarah. Sarah began performing in local, state and Australian competitions and is now generously sponsored by Ottobock for her Blade and by the Appliance and Limb Centre (ALC) for her socket. Sarah is excelling in her field as evidenced in her achievements in 2015. 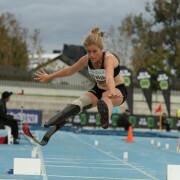 Sarah recently competed at the Brisbane International Paralympics Committee (IPC) Grand Prix in March achieving a personal best of 4.72m in long jump. Prior to that, at the Canberra Track Classic in February Sarah achieved a personal best of 14.91 seconds in the 100 metre run. Sarah’s goal is to participate in the International Paralympics Committee (IPC) World Championships in Qatar in October this year and at The Paralympic Games in Rio de Janeiro in 2016. “I am so excited that I might be selected for the Australian team as I would love to represent our country overseas. We have so many talented athletes with a variety of disabilities in Australia and I am so lucky to have trained and competed with many of them”, stressed Sarah. Wheelchair basketball is a sport that Sarah also plays because she loves the opportunity to work as part of a team, make more friends and develop specific upper body skills. “While I get to use my Blade when competing in athletics I also love using my wheelchair to play basketball”, said Sarah. Sarah is a passionate advocate for participation in sport and recreation saying that “it’s not just about whether you are good or not so good at something it’s just about having a go”. Sarah’s experiences have allowed her to make friends, meet lots of amazing trainers, travel and learn about various disabilities. “Some of the people I have met have physical, intellectual or sensory disabilities and what I have learned is that although we all have a disability we all have abilities. We’re all the same really”, stated Sarah. Sarah is starting to think about future education and employment goals when she completes school recognising that, in a similar way to finding a sport you are suited to, it is important to think about “my future career”. While Sarah is interested in a range of areas, not surprisingly careers in the sporting arena hold particular interest. 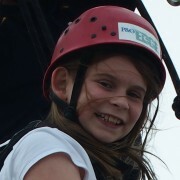 In reflecting on her engagement with Limbs 4 Life Sarah noted that “the organisation has been part of my life since I was young and I am so proud to now be old enough that I can ‘give something back’ and share my experiences with other families and children”. Sarah also looks forward to supporting the new Limbs 4 Kids program in the future because there wasn’t specific assistance for children and parents when she was young. “I’m so glad that Limbs 4 Kids is going to be around for children and families, and I hope I can help in some way”, said Sarah. We wish Sarah all the best with her upcoming athletic competitions, we hope to follow her career as a world class athlete and are grateful to Sarah for her continuing support of both Limbs 4 Life and Limbs 4 Kids. Hi, I am Jessica Fraser and I am 8 years old. I am so lucky to have a little hand. My friends don’t care that I have one hand, they love it. They think it is OK to have one hand. Some of my friends call it ‘Sandy’ (handy Sandy). I sometimes use it as a puppet. I can make my hand do a little nod and it looks so cute. My friends accept me, they encourage me and they are supportive. We all get along really well and have lots of fun. I love my friends! I play in a netball team on Saturdays. 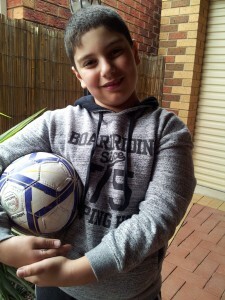 I am able to catch the ball, pass the ball and shoot goals. My team are great. If we lose we don’t care because we know we did our best. 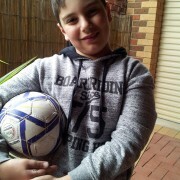 When I was 6 years old, I went to watch an older girl, Jemma, who has a little hand like me, play netball. Watching Jemma play, made me feel confident that I could play too. 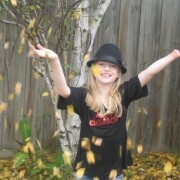 I have an older sister called Ashleigh and an older brother called Lachlan and my two wonderful parents Tania and Iain. I have such a great family. They think I can do everything and I can! They love me and I love them. This is my life and I love it! I could never have a greater world than this one. I may have one hand, but I can still do everything! My little hand is the best thing about me and I think it is great. It does not matter if you have one leg, or one hand, or if you have lost a finger or a foot – you are a person and you are special! The best thing to do, is to stay positive and try your hardest. I have made a list of some tips to help other people with a little hand. I hope the tips might help you! When I started Kindergarten and Prep my Mum and I made a book called ‘My Story’ which tells the story about my little hand. When I share the story with children who I have not met before, it helps them to understand about my hand and it gives them a chance to ask questions. Then when I am in the classroom or on the playground they do not stare at my little hand, bug me about it or ask me lots of questions. First of all I put my shoe on my foot, then I place both laces in one hand and pull the laces upwards which tightens them. I then use my little hand to hold one lace only against my leg and then I use my normal hand to take the other lace around the back of the lace that is against my leg and cross the laces over. I then make a loop with one lace and hold the loop in place against my shoe with my little hand, then I make a second loop with my normal hand, and I then use both my hands to tie the two loops into a bow. I put my little hand on the material right next to the button to make the button stable. I then push my finger through the button hole towards my body and use my thumb to push the button through the button hole towards my finger. My thumb and finger work together to wiggle the button through the hole. I hold the knife in my right hand and place the knife on top of the food that I want to cut, I then use my little hand to press down on top of the knife. I slide the knife backwards and forward while pressing on the knife and that’s how I cut my food. I then just put the knife down, pick up my fork and start eating. When I use the keyboard I use my little hand for the nine letters on the left hand side of the keyboard. I also use my little hand for shift, caps lock and tab. I use my thumb on my normal hand for the space bar. My name is Lucas and I have a limb difference and I wear a prosthetic leg. I have been wearing one since I was 15 months old. I am now 9 and a half. I was born with Tibial Hemimilia. I don’t remember a lot about the hospital but I remember I used to like the ninja turtles and I was in a green hip-spiker after the surgery. I thought I was a ninja turtle. It was cool. I had two operations. First I had one when I was 12 months old, then I had one when I was three years old. My Mum and Dad were at home with me when I got out of hospital. Lots of friends and family came to visit and if my parents had any questions they would ring the Royal Children’s Hospital in Melbourne. When I got my first leg at 14 months old, I learned to walk with a little trolley my Dad made. He left the wooden blocks in there and then taped two heavy telephone books to it so it wouldn’t flip. I used to stand up, hang on to the handle bar and push forward. As I would push, I would start walking. I remember my first steps without the trolley. My family were on one side of the lounge watching TV and I was on the other side of the room, sitting with all my toys. I wanted to sit with my Mum, Dad and sister. I stood up and waddled towards them. They all screamed with excitement. I go to a very good school. The children at my school are friendly, but I find it annoying when the same kids keep asking me questions about my leg. They ask me “Why do you have a fake leg?” I get really annoyed with them because they ask me every day. I understand that some kids are just curious and may have never seen a prosthetic leg before, but we found a way to solve this problem. My mum and I used to do presentations from Prep to Year Three so they understand what a prosthetic leg is. My Mum and sister brought ‘The OK Book’ by Todd Parr to the presentations. Each page of the book starts with ‘It’s okay to …’ (eg. be tall, be short, wear glasses and so on). We added a page that says ‘It’s okay to wear a prosthetic leg’. I also show them my legs to show off how tall I am now. I have 10 legs so far. At school I look and feel like everyone else. I play soccer, tennis, cricket and I enjoy playing them. I have lots of fun with my friends at school. Sometimes at school I have to stay indoors, especially when it is hot because my leg swells up. The teacher asks for volunteers to stay indoors with me. We have lots of fun even if I am not wearing my leg. In the future, I would like to be a Prosthetist because I love making things and because I wear one, I’ll know what feels good. When people ask me why I know so much about prosthetic legs, I will pull up my pants and show them that I have one too! To get some practice, I made one out of Lego! I am Lucas J Di Guglielmo, I am an amputee, and I am proud of who I am.